Figure 30) clean brush and paint on acetone on eye proper – this will break down the paint in an instant (all paints I use are lacquer based) – now use something like ‘brite eyes’ and clean off the eye – using a q tip wet one end and swab the eye – give it a couple of seconds and use the dry end of q tip to buff – wow! 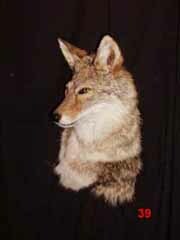 Coyote mount on rock slab by Terry Davis. Has made another expansion! 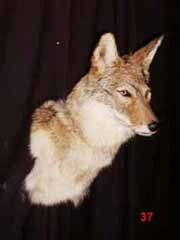 Web site services for taxidermists are now available! 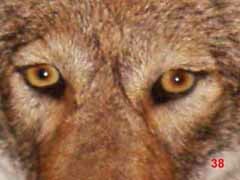 See a sample of a basic site package. Learn more.